Welcome to my website. 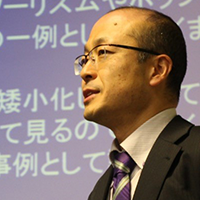 My name is Takayoshi Yamamura and I am a professor in the Center for Advanced Tourism Studies, Hokkaido University. My research focuses on heritage tourism and contents tourism. I have researched the representations and tourism potential of ethnic and minority cultures in Hokkaido, Japan, and China. I also work on the ways in which popular culture, such as manga and anime, can induce tourism to communities and the impacts such tourism has on localities. Anime, manga de chiiki shinko (Local Revitalization Through Manga and Anime, book published in Japanese), Tokyo Horei Shuppan, 2011. Sekai isan to chiiki shinko (World Heritage and Local Revitalization, edited book published in Japanese), Sekai Shisosha, 2007. For a comprehensive list of my own publications in English, please click the button below and to the right. A full list of my publications in English and Japanese is available via the Japanese page. Since 2010 I have been been part of a major research project co-led by Professor Philip Seaton in the International Student Center, Hokkaido University. Together we are looking at how popular culture affects travel behavior globally. The first major research results are being published as a special edition of the journal Japan Forum (27.1) early in 2015. For more information on this project in English, please visit Professor Seaton’s website. I have secured a major grant (Japan Society for the Promotion of Science, Kiban A, 20-50 million yen category) for my research into contents tourism. The project is co-led by Professor Philip Seaton in the International Student Center, Hokkaido University. For more information in English, visit Professor Seaton’s homepage.